Link creative artists with First Nation and Inuit youth in northern communities in Canada. ArtsCan’s mission is to teach new skills, promote self-esteem and inspire creative self-expression. 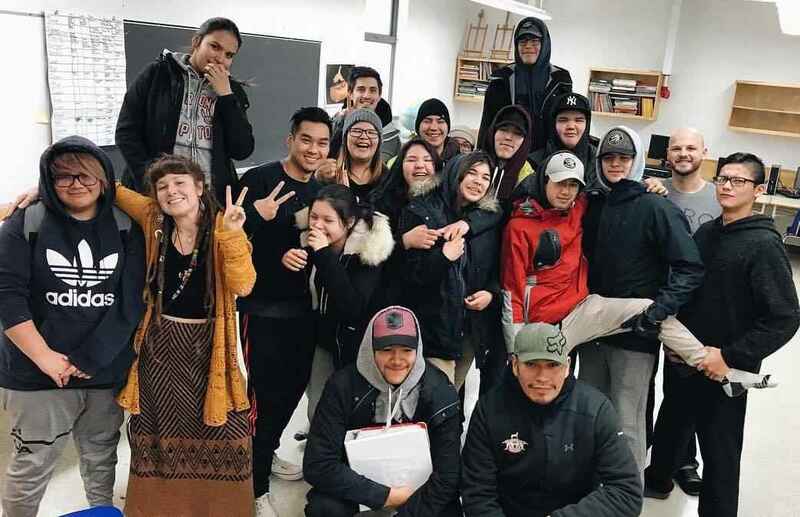 To achieve this, ArtsCan sends teams of artists and musicians to engage children and youth in northern indigenous communities in creative arts workshops. ArtsCan Circle was founded in 2002 and inspired by the work of Mike Stevens, a multi-talented harmonica player who began by travelling to communities in Labrador to share his music with youth. On these visits, Mike has distributed thousands of harmonicas to help his young listeners discover music for themselves. Since its inception, ArtsCan Circle has expanded to bring many more creative artists to northern indigenous communities in Canada. With the addition of the ArtsCan Circle Fund to its funds list, BCSF can assist donors interested in connecting to Mike and other artists’ work in northern indigenous communities in Canada.